Drew Langdon and Giancarlo Cangiano tested their Mercury powered Outerlimits hull – Silverline, in the West Country of England today. 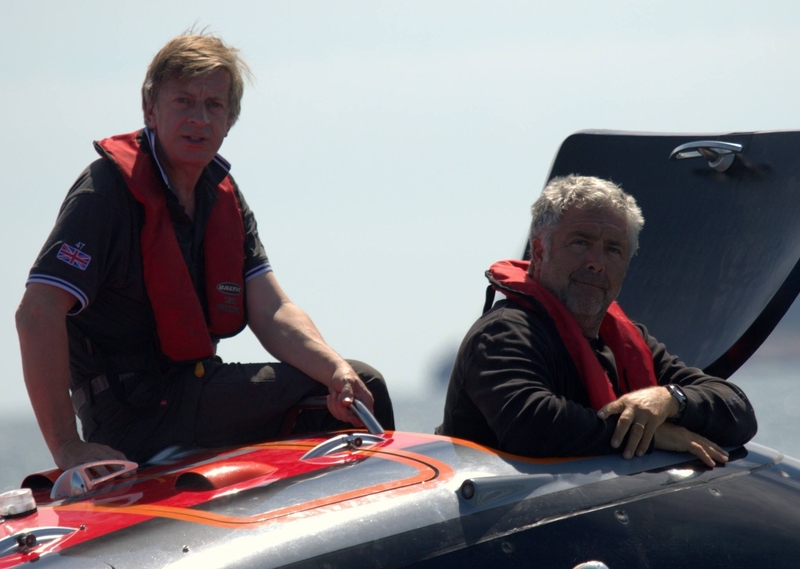 The Anglo / Italian pairing have teamed up in a bid to win the Cowes Torquay Cowes race next month. 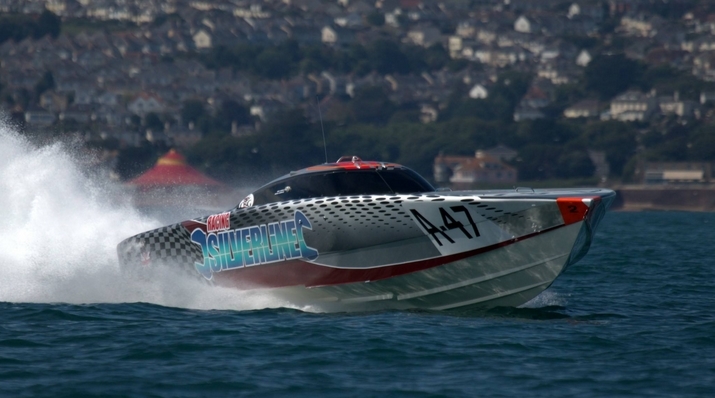 Silverline will be racing in UIM Marathon Class A and faces formidable competition. Peter Dredge’s Vector Martini Rosso the winner last year, Cougar 46 crewed by Steve Curtis and Richard Carr, Hendricks 55 driven by double CTC winner Markus Hendricks and The Tommy Racing Team from Italy.